Compact Fine Screws 9S67 provide high resolution. A unique design allows smooth adjustment and high repeatability thanks to matched stainless steel screw/brass nut pairs. Using screw/nut-matching technology, backlash is in high precision M6x0.35 thread almost eliminated. The combination of metals provides a superior match for both movement and long lifetime. 9S67 has a mounting diameter of Ø8 mm. 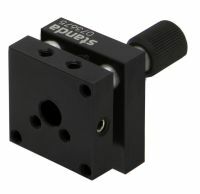 The 9S67M has a mounting thread M10x1, or M10x0.5 as option. 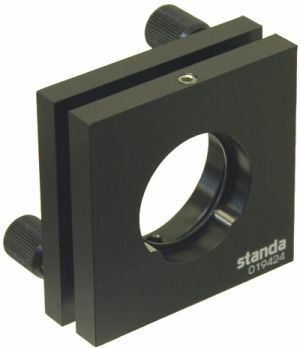 A compact knob is made from black anodized aluminium.